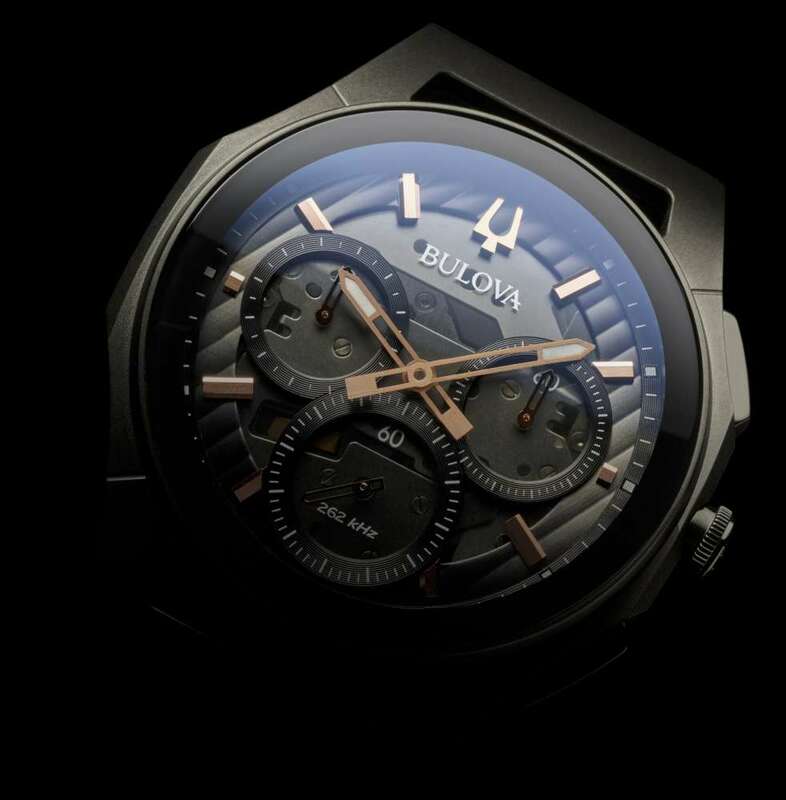 My instinct is not to write about men’s watches with quartz movements, but Curv by Bulova, presented at Baselworld in March 2016, has some significant features. The curved case is nothing new, but this watch has some extra features that are worth a comment. The watch has a transparent caseback, displaying the quartz movement. I think that sooner or later, high-end brands are going to do the same with their quartz watches for women. Displaying the quartz movement is a sort of industrial transparency in addition to providing an extra decorative motif. In addition, in the Curv watch it enables you to see that the movement itself is curved, probably the most important innovation for this series of timepieces. 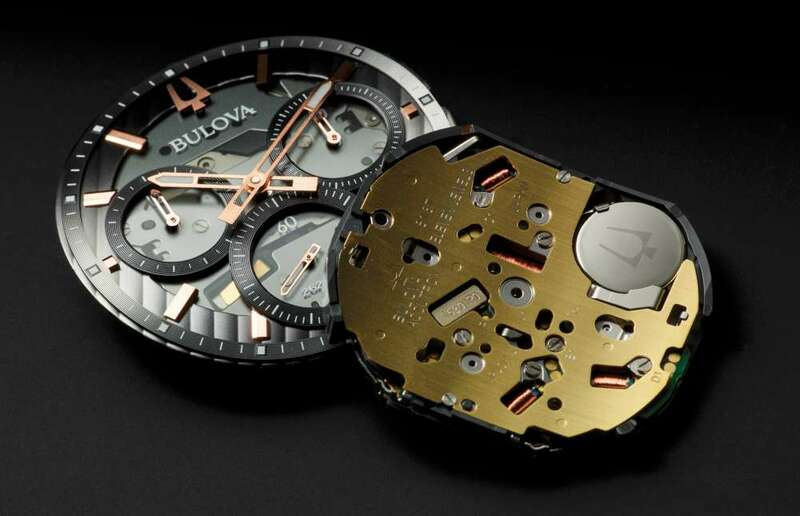 The gold-colour movement is enhanced by a battery cover with the Bulova logo. Curv watches have movements running at 262,000 Hertz, much faster than the usual quartz frequency of around 32,000 Hertz. This improves its accuracy to a maximum deviation of +/-10 seconds per year. The movement is based on the existing Precisionist high-frequency movement, but while the Precisionist gives the second hand a virtually constant sweep, in this version it ticks at the usual second-at-a-time rate. The dial layout is unusual. No date window, and no central chronograph seconds. All the chronograph functions are on the subdials, with chronograph seconds at 6 o’clock, minutes at about 3 o’clock and hours at about 9. As it’s quartz, if you want to see continuous seconds, you can simply leave the chronograph running. The case is fairly large at 44 mm width and 9.7 mm thickness. Water resistance is 3 bar/30 metres. The curve of course makes it very comfortable to wear, hugging the wrist to a greater degree than a conventional watch. 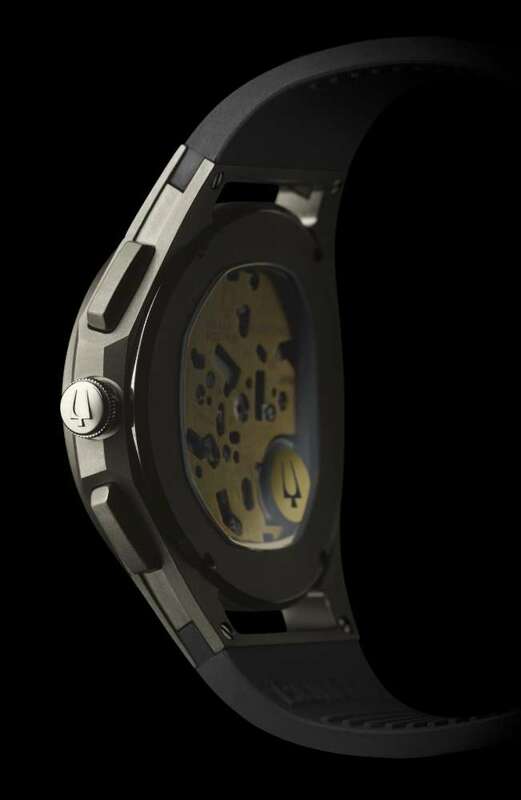 There are 12 versions of the Curv watch, starting from a piece with a stainless steel case and solid caseback at $599, and culminating in the top version with titanium case and display caseback at $899. 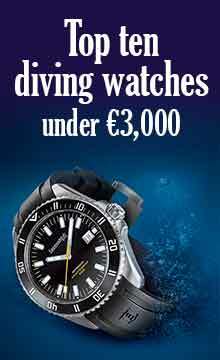 Further information from Bulova’s website.